Kate Armstrong gives into sweet temptation unleashed by nuns centuries ago. While culinary awards for the world's most sublime cakes and pastries tend to go to the French and Italians (whose mousse and tiramisu woo sweet lovers around the globe), the Portuguese deserve accolades for their perfect pastries. As I discover on a trip through the Algarve and Alentejo regions of Portugal, the country boasts more than 200 varieties of biscuits, cakes and pastries known collectively as doces (sweets). With names as quaint as papa de anjo (angel's chin), they're fun to get your mouth around in every sense. Many of them also hide more than sugar and calories. Each sweet delight is an integral part of Portuguese culture and history. My Portuguese sweet search starts innocently enough: I stop for a short snack break, nibbling on a sugary biscuit during sightseeing activities. It ends as a full-blown glutton-athon, where I sample, consume and sometimes gorge on plates of mixed cakes and pastries over several coffees and even more hours. But you can't blame me, a professed sweet tooth. Wherever you go in Portugal, from cosmopolitan capital Lisbon to the smallest village in the country's provinces, cafes and pastelarias (cake shops) confront you at every turn. 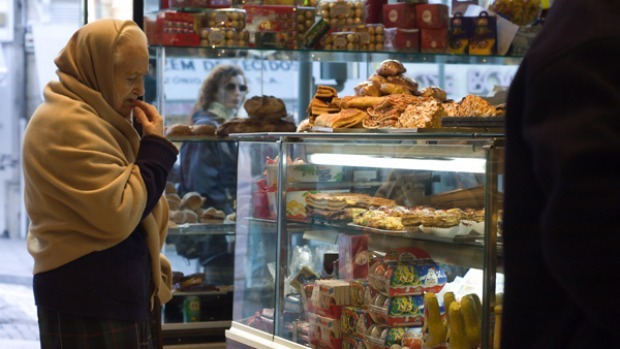 Here, locals grab their "breakfast" (usually an espresso and pastry on the run), the elderly plonk themselves around a table (so as to watch the world go by) and children press their noses against the window (to choose their daily treat). Morning and afternoon teas are popular customs. Sweets have been important to Portuguese culture for centuries. Although popular in medieval times (honey was the sweetener), the arrival of sugar in the 15th century, brought by the Arabs, quickly crystallised the sweets industry, especially among the aristocracy, who could afford it. However, it was the nuns and monks from Portugal's convents and monasteries who produced some of the country's best-known recipes. The popularity of doces conventuais - literally "conventual sweets", which include biscuits and pastries - soon spread through the provinces. There's no more quintessentially Portuguese taste than the renowned pastry of Lisbon's now-famous Cafe de Belem, the custard tart. Belem, a waterfront area of Lisbon, was once a separate "town" but today is part of the city, only several kilometres and a scenic tram's ride away from the central square. This is home to the Jeronimos Monastery and the original home of the famous Portuguese pastry, pastel de Belem (or pastel de nata), the Portuguese custard tart, a small pastry casing filled with the creamiest pale yellow custard, baked and served with a sprinkling of a cinnamon and sugar mix. The Cafe de Belem is a delightful colonial building, its rooms lined with Portuguese tiles and jam-packed with small marble tables and abuzz with families, old people, tourists, and smartly dressed locals. I must squeeze past the queue of customers which snakes out to the street. They are here for take-away tarts, served from the front counter, its shelves lined with bottles of sparkling wine and its benches with massive trays of warm tarts. In total, counting take-aways and eat-ins, an incredible 19,000 tarts are sold each day. I breathe in the aroma of fresh pastry and sugar and edge myself around one of many bow-tied waiters serving clients their bicas (espressos) and plates piled with tarts. It's not good form to have one only; two to three minimum is the norm. I meet with Penelope Clarinha, one of the Clarinha family, the original and current owners of the business. Ironically, her slim and stunning looks suggest few tarts pass her lips. Meanwhile, I polish off three in succession. (Heavenly). She explains, in fluent English, the history of this famous tart. During medieval times, to stiffen their habits, nuns used copious egg whites. To use up the leftover egg yolks, they devised yolk-based recipes. In the 1800s, when the clergy and workers were expelled during the liberal revolution and convents and monasteries were shut down, an enterprising former monastery employee survived by making and selling egg-based tarts to the nearby general store. So popular were they among the visitors who ventured to Belem to see the monastery and nearby Torre de Belem (Belem Tower) that, in the 1830s, baking pastries began in earnest in a factory, the site of the current cafe. These days, only three people are privy to the custard recipe and, although versions of these tarts are reproduced throughout Portugal and the world, one vital secret ingredient is said to hold it apart from the others. Meanwhile, visitors can view the bakers at work through a glass wall dividing one of the cafe's rooms from the kitchen, as they mix, knead, roll and fill the pastry casing. Elsewhere in the country, such as in the town of Beja, conventual sweets sprang up through habits of a different kind. To protect family virtue and fortunes, wealthy families sent their daughters to the local convents. These well-off religious institutions served not only as places of faith but as accommodation options for important visitors, including royalty, and gastronomic centres (the idea being the more one ate, the more one prayed). With time to kill, the chaste females flirted with recipes, using eggs from the convent's chickens and other ingredients available to them. One nun did stray when she fell in love at first sight with a French officer whom she spotted from her convent window. Letters Of A Portuguese Nun, five passionate letters to her man published in the 1600s, is the result of her non-consummated lust; today, the letters are assumed to be fiction but the romantic tale is a great drawcard for Beja. The nuns nevertheless "pigged out" in more ways than one. Pork, up there on the list of the world's quirkiest cake ingredients, was used frequently in recipes. Adventurous nuns and monks added to the Portuguese culinary call such delights as pudim do Abade de Priscos (a creme caramel prepared with pork lard, port and spices) and toucinho do ceu (literally, "heaven's lard", a small almond cake with a touch of, you guessed it, Porky Pig). Even the monks were in on the act: you can picture them chuckling while concocting their own egg-based creations, including barrigas de freiras - nuns' bellies. In Beja, I seek out Casa de Cha Maltesinhas, a small, lane-side bakery specialising in conventual sweets, where I polish off a toucinho do ceu. At the town's institution, 100-year-old Luiz da Rocha, I sample other treats: trouxas de ovos, sugared egg yolks; plus other less conventional creations, including the porquinhos de doce, literally "sweet little pigs", made of marzipan and shaped as pigs and piglets. (At last, a guilt-free choice for the vegetarians). My advice for a sweet trip? Forget France and Italy. Expand your culinary horizons and eat your way through the medieval history of Portugal by indulging in some sinful treats. After all, a porky belly is nothing a few Hail Marys (or a few months at the gym) won't cure. Cakes and pastries cost as little as $1 a serve to as much as $38 for a boxed set of porquinhos de doce. Pasteis de Belem, 84-92 Rua de Belem, Lisbon, www.pasteisdebelem.pt. Luiz da Rocha, Rua Capitao Joao Francisco de Sousa 63, Beja. Casa de Cha Maltesinhas, Rua Acoutados 12, Beja.